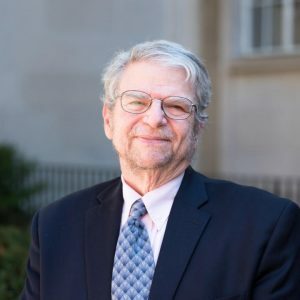 Professor Freedman earned a BA in Philosophy, Politics and Economics at the University of Oxford, an MSc in Political Theory at the London School of Economics, a DEA in political science at Sciences Po, and a doctorate in sociology at the Paris Diderot University. Her research has focused on gender and international politics, international migration, refugees and asylum, gender-based violence and armed conflict. 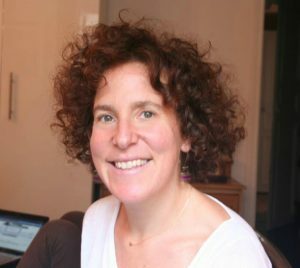 She is the author of numerous books and articles in both English and French, including Immigration and Insecurity in France (2004); Gendering the International Asylum and Refugee Debate (2015); and A Gendered Approach to the Syrian Refugee Crisis (2016). She has also served as an expert to UNESCO, the United Nations High Commissioner for Refugees, and the European Commission on issues of gender, peace and security, prevention of violence against women, women asylum and migration, and women’s political participation. Professor Furedi earned a B.A. in Political Science at McGill University, as well as an M.A. in African Politics and Ph.D. in Research at SOAS (University of London). A leading figure in the study of societal responses to risk and uncertainty, he is the author of 21 books that have been translated into 13 languages, including Culture of Fear (2002); Politics of Fear: Beyond Left and Right (2005); and Populism and the European Culture Wars: The Conflict of Values between Hungary and the E.U. (2017). Furedi is a regular commentator on radio and television programs around the world. He has appeared on Newsnight, Sky News and BBC News, Radio Four’s Today programme, and a variety of other radio television shows. Internationally, he has been interviewed by the media in Australia, Canada, the United States, Poland, Holland, Belgium, Brazil, and Germany. His articles have been published in New Scientist, the Guardian, the Independent, the Financial Times, the Wall Street Journal, the Christian Science Monitor, spiked, the Times Literary Supplement, and Harvard Business Review, among many others. Arthur Goldhammer holds a B.S. and Ph.D. in Mathematics from MIT and has taught at Brandeis University and Boston University. He has translated more than 125 books from French, for which he has won numerous awards, including Alexis de Tocqueville’s Democracy in America and Thomas Piketty’s recent bestseller, Capital in the 21st Century. At Harvard’s Center for European Studies he is Co-Chair of the Contemporary Europe Study Group and Chair of the Visiting Scholars Seminar. A long-time observer of French politics, Goldhammer regularly contributes commentary on France and French politics on his blog, “French Politics.” He writes regularly for The American Prospect, The Nation, Democracy Journal, and Foreign Policy and also serves on the editorial boards of The Tocqueville Review and French Politics, Culture, and Society.